Previous studies have shown just how beneficial eating a handful of nuts per day can be to consumers’ health. But a new study shows that doing so may be particularly beneficial to consumers who have faced colon cancer. Researchers working with the American Society of Clinical Oncology (ASCO) have found that colon cancer patients who eat two ounces or more of tree nuts per week had a 42% lower chance of cancer recurrence and a 57% lower chance of all-cause mortality than those who don’t eat them. ASCO president Daniel F. Hayes says the findings reinforce how a healthy diet should not be overlooked when it comes to cancer treatment. “This study shows that something as simple as eating tree nuts may make a difference in a patient's long-term survival…Nut consumption and a healthy diet are generally factors that clinicians and patients should perhaps pay attention to as they design the approach to treatment for colorectal cancer," he said. The observational study examined questionnaire answers from 826 patients with stage III colon cancer who were asked about chemotherapy and their dietary intake, with a special focus on whether they ate any kind of nuts. 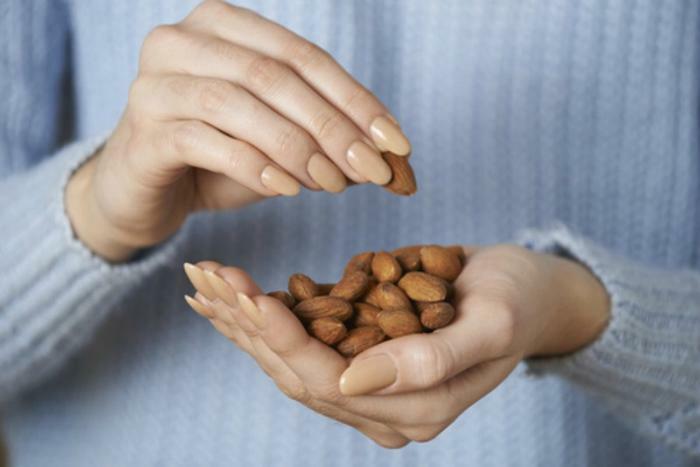 With those reports, the researchers analyzed associations between nut consumption and the risk of cancer recurrence and death. The findings showed that approximately 19% of all patients reported nut consumption of at least two ounces per week; those same patients were found to have a 42% lower chance of cancer recurrence and a 57% lower chance of death compared to their peers, with results remaining consistent across all ages, BMI scores, genders, and common genomic changes in tumors. The researchers said that tree nuts were the main contributors to these statistics, since peanut and peanut butter consumption did not appear to impart any significant benefits. Tree nuts include staples such as almonds, cashews, chestnuts, hazelnuts, macadamia nuts, pecans, pistachios, pine nuts, walnuts, and Brazil nuts, among others. The researchers emphasize that nut consumption should not be considered a substitute for standard chemotherapy for colon cancer, but they do admit that including these foods in patients' diets could provide remarkable benefits. “Patients with advanced disease who benefit from chemotherapy frequently ask what else they can do to reduce their chances of recurrence or death, and our study is an important contribution to the idea that modifying diet and physical activity can be beneficial,” said lead author Dr. Temidao Fadelu. “Patients with colon cancer should be optimistic, and they should eat a healthy diet, including tree nuts, which may not only keep them healthier, but may also further decrease the chances of the cancer coming back," added Hayes. Going forward, the researchers say that they will continue to look at the positive impact that tree nut consumption has on colon cancer. “Ultimately, we need to understand how nuts confer this protective effect, as well as possibly conduct a randomized, controlled clinical trial where diet recommendations are given at the start of the study to prove that tree nuts can reduce recurrence and death after treatment for colon cancer," said Fadelu. The full study is scheduled to be presented at the upcoming 2017 ASCO Annual meeting in Chicago.